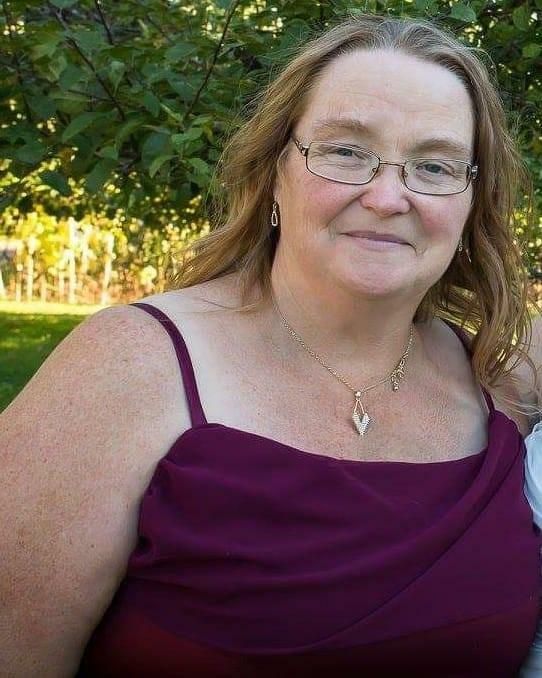 HUNTER, Nicola Elizabeth It is with great sadness and heavy hearts we announce the passing of Nicola Elizabeth Hunter, age 46 of Windsor, who passed away on December 8, 2018 in Halifax Infirmary, QEII. Born in Windsor on April 10, 1972, she was the daughter of Randolph Baxter and Patricia (Hunter) Catudal. Nicola worked in the service industry where she met many good friends. She enjoyed spending time with her grandbabies, Serenity, Trinity and Brooke. Nicola also enjoyed going to T.A.N. Coffee with her daughter, Bailey, and grandchildren, Trinity and Brooke, as well as their mother, Cassandra Temple. Besides her parents, Nicola is survived by her partner of 16 years, Danny Rourke; stepfather, Dominique Catudal; brother, Jason (Sherri) Hunter; great-grandmother, Effie Spencer; children, Bailey (Jamie) Flynn, Dillon Hunter and special daughter, Cassandra Temple; grandchildren, Serenity Wilcox, Trinity Temple Hunter and Brooke Temple; as well as many aunts, uncles and loved ones; also, her beloved dog, Muffin.